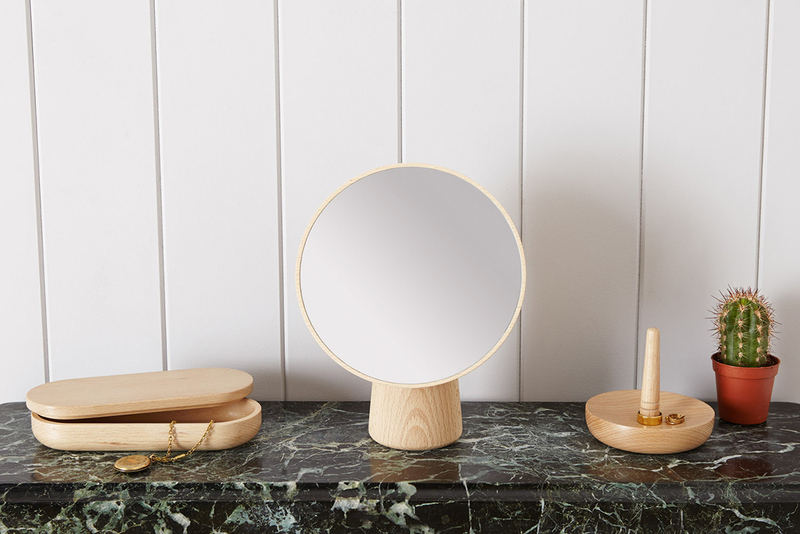 Consisting of a mirror, ring holder and jewellery box the Cameo set was designed to capture the spirit of those who possess an elegant, unadorned style. 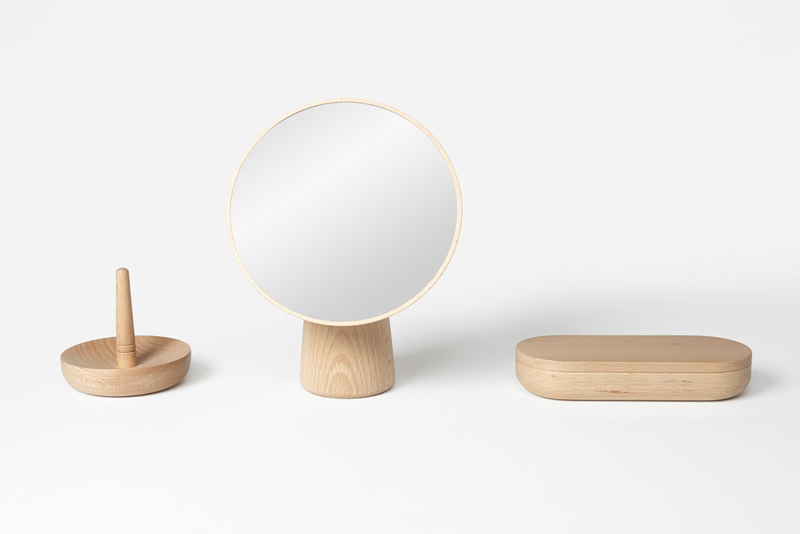 The mirror uses a simple ball and socket joint allowing it to rotate freely and be adjusted to the required angle.Design and made by Gavin Coyle. 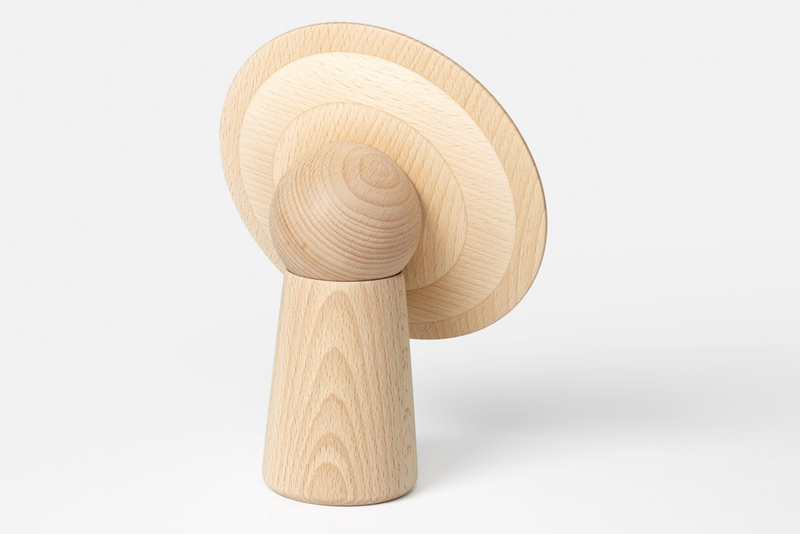 Available to buy in our shop.